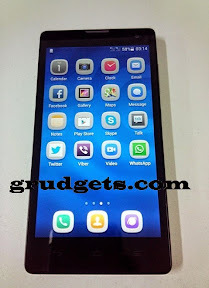 You are here: Home / Smartphones / Huawei Honor 3C smartphone review, available from $199. Huawei is fast emerging as better alternative to low end smartphones in many markets including India. 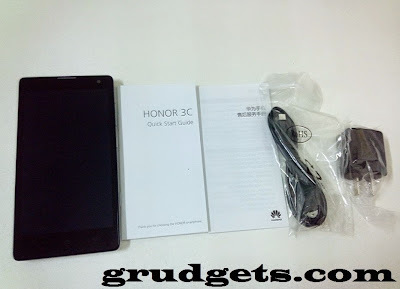 Recently, I had come across Huawei honor 3c smartphone on 1949deal and finally got a chance to review it. This phone offers mid-range specs at a budget price. Here, we have listed out complete parameters of the device including design, hardware, OS and camera quality. Like most of the mid-ranged smartphones, this member also features MTK 6582 quad core processor alongside with Mali 400 GPU. This has become very common combination on most of the android devices nowadays. It measures out around 139.5 x 71.4 x 9.2 mm and weighs approximately 140 grams. Unfortunately, the device comes pre-loaded with Android v4.2.2 which might be disappointing for few of you. However, if you have knowledge about rooting and ROM’s, you will be able to install any version of Android on this phone. The display of this device is about 5 inches which has resolution of 1280 x 720 pixels (720p). the pixel density is about 294, which is not that great but an average figure. You can expect to get good clarity while watching videos and gaming. In terms of camera, there are dual cameras present on this phone which will take care of your photography needs. The main shooter is of 8 megapixels which is accompanied with LED flash and auto-focus so that you can get better shots even in low light areas. It is also capable of recording full HD (1080p) videos at 30 frames. Please note that An tutu benchmarks reported main cam of 5 MP only. The front cam of 5 megapixels is good enough to get good self-shots and enjoy HD video calling. On the connectivity side, they have included dual SIM micro slot so that you can use two SIM’s at the same time. There is 3G connectivity along with Wi-Fi for faster web access. You can share files over Bluetooth and also connect wireless headsets to this device. Apart from this, there is also GPS connectivity so that it can help you on vacations and trips. Other features include multiple languages, play store, calculator, Wi-Fi tethering and editing documents. For more images of the device, visit this link. 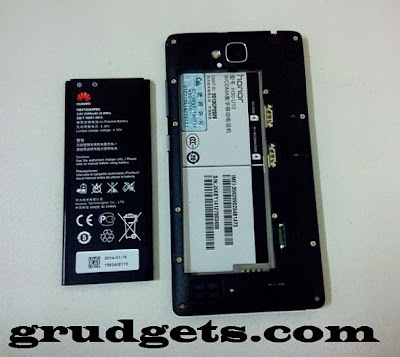 It boasts internal memory of 8 GB, of which 5.6 GB will be available for user to store files. This memory is accompanied by 2 gigs of RAM, around 1980 RAM is available for usage. You can expand this memory further up to maximum of 32 GB through micro SD card slot. It is enough to store 10-15 HD movies. The power needs are satisfied by 2300 mah battery which is just enough to keep the phone powered for entire day. You can purchase this smartphone online from 1949deal for just $199 or from merimobiles at just $179.98 with free international shipping. The sales pack includes smartphone, 2300 mah battery, USB cable, charger and user manual. You can also buy flip covers and TF cards at cheap price. In India, you can buy it from Amazon, with an option to pay cash on delivery. It is currently the lowest price online. This smartphone also comes in LTE variant, which is priced slightly higher at $249 USD. If you are not brand frenzy, than you may surely love THL W200S smartphone, which comes along with octa core Mediatek processor in similar price range.